There’s no better time of the year for traditions than Christmas time! WE love to create new memories with our family, and while it might be a bit chilly this time of the year we think the outdoors are still the place to spend time. After all, we were not meant to hibernate! 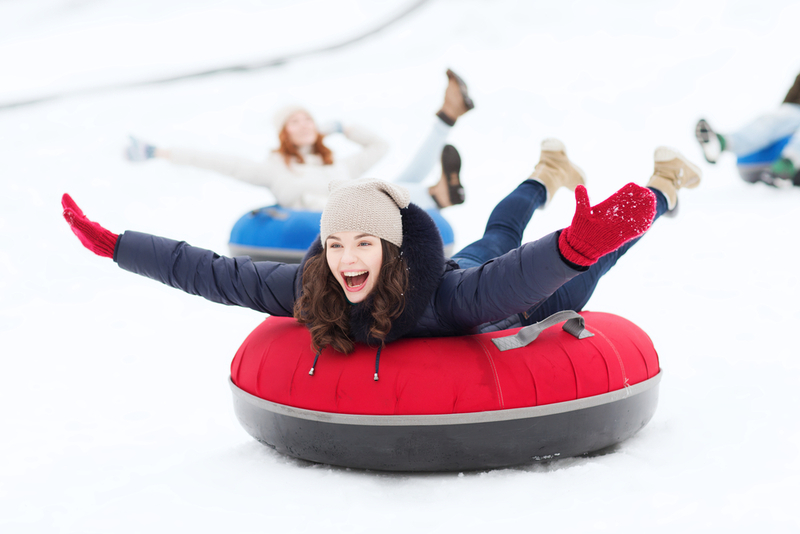 Here’s our list of some of the best winter activities to turn into traditions this year. This is a great way to get outdoors with the entire family no matter what age the kids are, and you are guaranteed to have an absolute blast. If you aren’t familiar with this activity, it is exactly what it sounds like; you take an inflatable tube up a small hill (there’s usually a little lift that pulls ya up) and then get pushed down a snowy track. So simple, but makes for hours of laughter and gives you a bit of a thrill all at the same time. Where can I do this? Since it’s snow much fun, a lot of ski hills are picking this up as an extra activity. Norquay in Banff is a great option near Calgary, since it also has a smaller hill for younger tubers. It’s almost hard to believe that you can do this activity right in Alberta and don’t have to head all the way to an Arctic region to do this, but there are a few companies that make it possible! You can even choose between just going for the ride in the sled or actually driving yourself, which makes this activity even more exciting. On top of an amazing ride with equally amazing views, you get to spend a couple hours with a bunch of adorable huskies… who wouldn’t love this? Where can I do this? There are plenty of companies that do this, mostly within the Rockies regions of the province. Check out this site to find one that works for you! 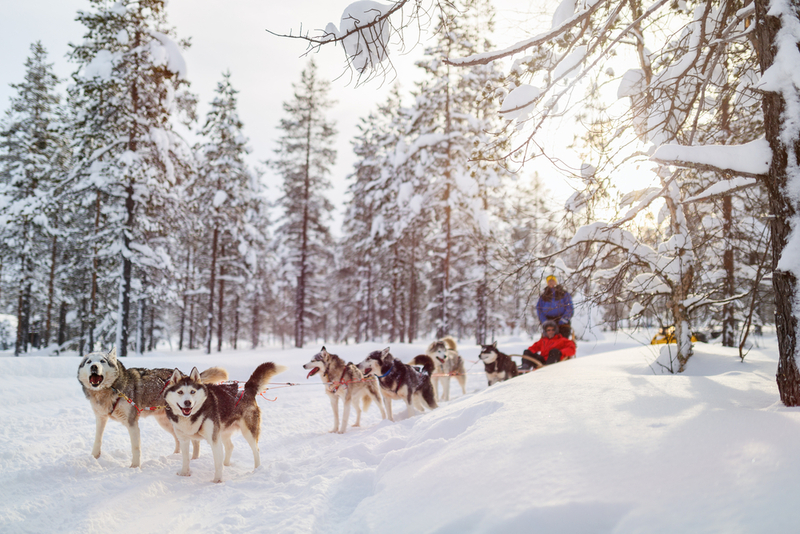 There are often deals that you can get that will include other activities or hotel stays along with the dog sledding, so keep an eye out for those too. 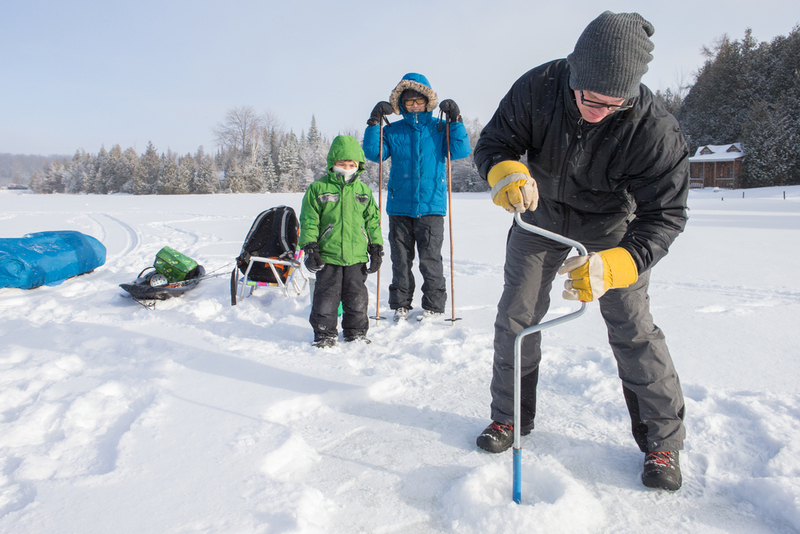 Try something completely different this year with ice fishing. This activity is pretty relaxed, but the fact that you’re on ice adds an element of coolness to it. Since it mostly involves sitting around, it’s the perfect way to really bond with your family over some thermos hot chocolate and tea. Out of all the winter activities, you can do, this one will probably end up being the most rewarding if you actually manage to catch a fish! Nothing brings the group together like a common success. Where can I do this? Banff Fishing Unlimited does tours near the Banff and Canmore area; they include everything you need including transportation from both towns and they’ll even cook you up a fresh fish sandwich with the fish you catch yourself! High five to that! This activity sounds more extreme than it actually ends up being! You get a nice pair of ice cleats, so you’ll hardly even notice all the ice. What you will get is an unbelievable perspective of some frozen waterfalls that is really tough to see in person without the proper gear and some guidance. The whole family will be in awe of this activity, and it’s just as amazing even when you go back multiple years in a row. Great opportunity to get some super family selfies! Where can I do this? 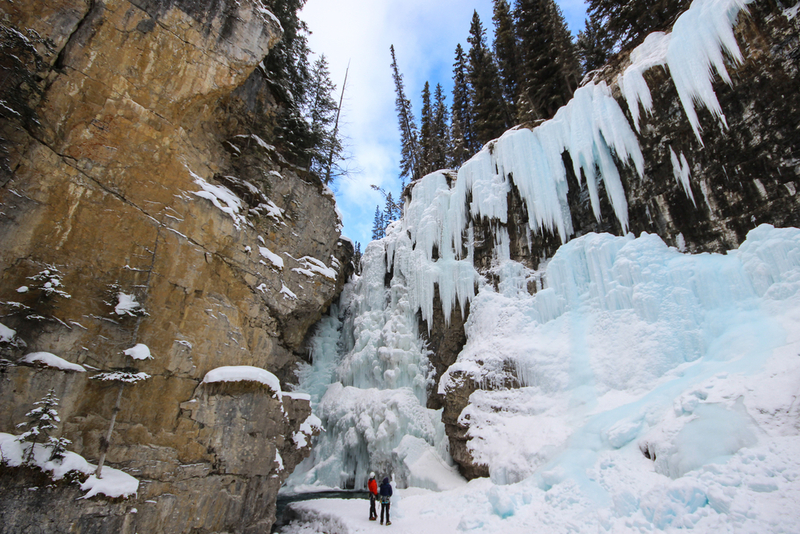 Discover Banff Tours leads a few ice tours near Banff, one of them at Johnston Canyon and the other at Grotto Canyon. If you go visit Johnston Canyon you’ll get to choose between a day or evening tour, and you’ll get different experience between the two of them! This activity is exactly as extreme as it sounds. Ice Climbing is not for the faint of heart, but an incredible sport for a thrill-seeking family. If you like rock climbing, you will definitely like this twist on it. Anyone can give this a go, even without experience, and if you do it for multiple years you can continually progress to more advanced and exciting routes. Get your ice picks out! Where can I do this? 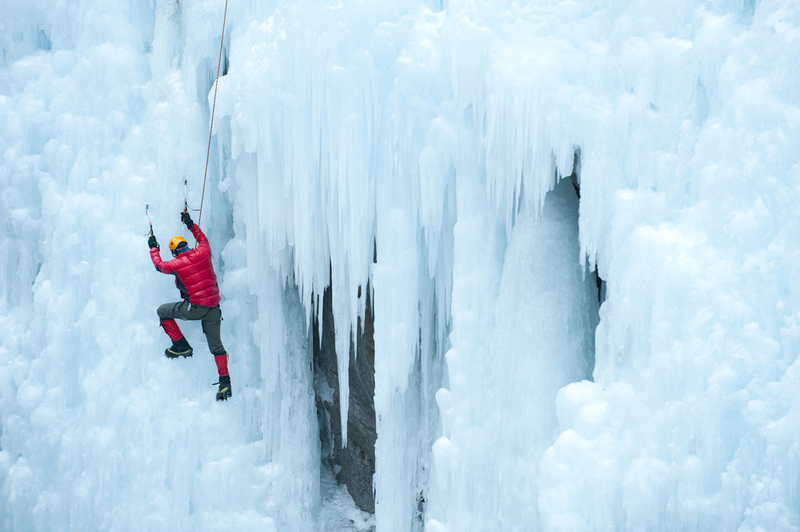 Ice climbing is possible just about anywhere you can find a frozen waterfall! Yamnuska Mountain Adventures offers tours at multiple spots around Banff and Canmore and you can choose based on your level. Here you’ll find options for beginners all the way to pros. This is an easy going, very cute activity that screams Christmas. 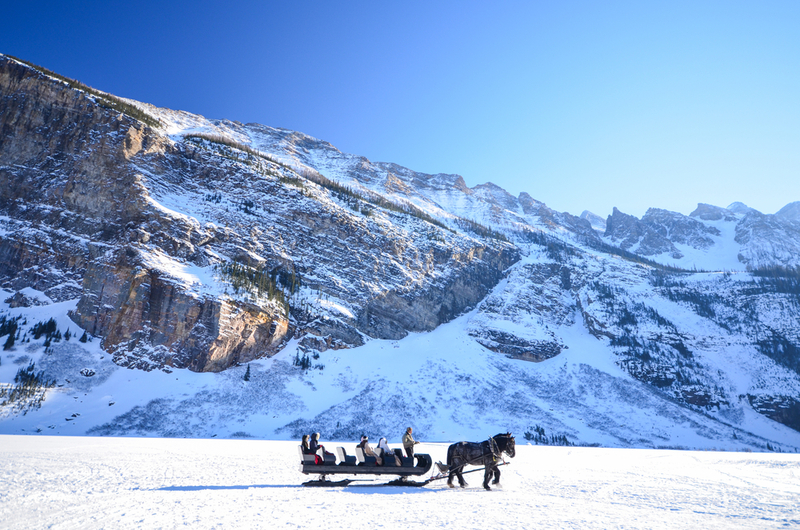 A sleigh ride is a super affordable and great way for the entire family to unwind. Just sit back, relax and take in the breathtaking scenery of the surrounding mountains. Since there isn’t too much movement involved here, make sure to bundle up nice and warm! Where can I do this? Right in Banff! Just at the end of Sundance Road you’ll find some stables and this will be your starting point. Find out more information at Banff Sleigh Rides! Trying to figure out where to stay when you go do some of these activities? Rent a trailer a Wheel Estate and book a spot at the year-round campground, Tunnel Mountain II. Next Post5 Camping Resolutions to Make RIGHT NOW!